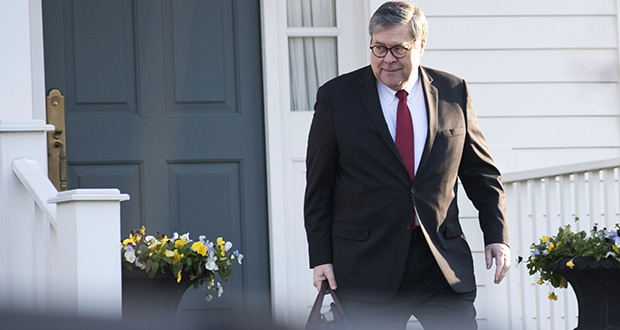 The summary of special counsel Robert Mueller’s report submitted to Congress on Sunday by Attorney General William Barr can only be described as a significant win for President Donald Trump. Mueller did not find that the Trump campaign coordinated with or colluded with Russian efforts to subvert the 2016 election. And Mueller did not reach a conclusion on whether Trump himself committed obstruction of justice. But when Trump claims total vindication by Mueller on the Russia issue, he isn’t lying. He’s offering a defensible interpretation of Mueller report as summarized by Barr. The summary suggests a report that doesn’t sustain most of the most serious Russia related charges that have been imagined to lie against the president. Regardless, it’s worth noting that an official U.S. government report now says Russia tried covertly and illegally to influence the U.S. presidential election. If that isn’t an act of war, it’s the nonviolent equivalent. There must be consequences, and those consequences, overt or covert, should extend beyond mild sanctions on a few figures close to Russian President Vladimir Putin. The report as summarized does not find that the Trump administration or other U.S. persons “conspired or knowingly coordinated” with the Russian efforts. This is probably the most important finding, or rather nonfinding, in the report. The upshot is that at least part of the Trump campaign seems to have known what the Russians were trying to do to help Trump, but didn’t take the further step of trying to work with the Russians. That was the smart thing to do — or rather any attempt to coordinate would have been dumb and criminal. Mueller couldn’t prove either interpretation, so he punted the issue to Barr. Barr in turn wisely got Rosenstein on board — because Rosenstein, unlike Barr, is trusted by Democrats for having protected the Mueller investigation.